The last Association peal of 2016 was rung at Chetwynd in memory of Barry Lewis who was tower captain there. The fifteenth Association peal of 2016 was rung at Morville. A peal of 23-spliced, all the work, Surprise Major has been rung for the Association in the 50th anniversary year of the first such peal. This is only the third peal of 23-spliced for the Association; and Gill Glover and Nick Green have rung in all three. About thirty Shropshire Association ringers and three ringers from the Church Stretton District took part in the Association's December practice held at St Luke's church, Hodnet. The ringing was directed by the Ringing Master and included call changes, Grandsire Triples, Stedman Triples, and 5-Spliced Surprise Major. Following the service tea and coffee were served, together with delicious mince-pies and cakes made by Karen Powell of the local band. Thanks go to the Hodnet ringers and all who helped to make this an enjoyable evening. It is with great sadness that the death of Barry Lewis is reported. Barry, who was a ringer at Chetwynd, Newport and Edgmond, died peacefully on 13th December. This was held at Atcham with 18 ringers in attendance. Tony Freemont directed the ringing which included call changes, plain hunt on 5 and on 6, Plain Bob Doubles, Grandsire Doubles, Stedman Doubles, and Plain Bob Minor. The towers represented at the practice included Atcham, Edgmond, High Ercall, Meole Brace, Market Drayton, Oswestry and Shrewsbury. Thanks to the Atcham ringers for hosting this practice and providing refreshments. This was held at Shawbury Village Hall. Fifty seven tickets were sold. The quiz was devised by Tony Freemont and Cordelia Warr. Ten teams sat down to answer questions on composers, films, sports, literary pseudonyms, bones, monarchical consorts, songs about rain, great bells, children's programmes, 90, the Highway Code, and the Palace of Westminster. Tony was assisted with the scoring by Liz Menhinick. The second highest scorers were the Oswestry Idiots and the highest scoring team was the Miscreants. These two teams each received a container of chocolates. Curry and Bolognese sauces, meaty and non-meaty, were served with either rice or baked potato. Naan bread was also available. Delicious puddings were provided by several members. Geoff Harding and Jad Bienek ran the bar. Peter Woollam sold raffle tickets, as is his wont on these occasions, raising £108 for the BRF. The winners of the prizes were Jo Schup, Chloë Darby, Tony Freemont, Karen Compton, Natasha Compton, Sue Dancey, John Powell, David Wilson, Barbara Howell Jones, Jan Snowball and Chris Fraser. Thanks to all who bought tickets and all who provided the prizes. Madeline Harris, Ringing Master, thanked Tony for devising the quiz; Cordelia War for planning the menu and organising the food, even though she had to leave the country before the event; Claire Unsworth and Jan Snowball and all those who had helped with the catering, and washing up; Jad and Geoff for running the bar; Peter for running the raffle; and all those present who had helped to make the evening such an enjoyable occasion. The profit from the bar and the ticket sales will be reported here when the final calculations have been made. Thanks to all who supported this Association event. The Association's Carol Service will be held at Hodnet on Saturday 10th December, with ringing from 6pm and the service starting at 7:30pm. Refreshments will follow the service. All ringers and their families are welcome. The final Association training morning of the year took place at the Edgmond Ringing Centre. Fin Shelley and Lois Crooks (both from High Ercall), Karen Compton (Wem), Vicki Sivess and Dave Read (both Meole Brace), and Steve Buckley (Shifnal) were the students. The ringing included call changes, plain hunt, Plain Bob Doubles, Grandsire Doubles, Stedman Doubles, Cambridge Minor, and Stedman Triples. Tony Freemont, the Association's Training Officer was helped during the morning by Mark Adams, Ian Baker, Jacqui Barden, Edric Broom, Rob Davis, Alan Glover, Gill Glover, Madeline Harris, Brian Kear, Peter Neil, Biff Patterson, Simon Rice, Cordelia Warr and Chris Yates. Refreshments were available, as is usual on these occasions. A peal celebrating the ministry of Rev Prebendary Edward Ward at Edgmond has been rung. This is the first peal of Delight for the Association. There was a good turn-out for the Surprise Major practice held at High Ercall. Fourteen ringers rang Cambridge, Superlative, London, Bristol, Glasgow, 5-spliced and 6-spliced. This was held at Meole Brace with 12 ringers attending. Tony Freemont directed the ringing which included call changes, plain hunt on 5, Plain Bob Doubles, and Spliced Plain Bob, St Simon's Bob and St Martin's Bob. The towers represented at the practice included Meole Brace, Market Drayton, Oswestry and Shrewsbury. Thanks to the Meole Brace ringers for hosting this practice and providing refreshments. The twelfth Association peal of the year was rung to welcome the Rev Mark Ireland (formerly of Wellington) as Archdeacon at Blackburn. Eleven ringers made the journey to Edgmond for this practice. The ringing included Superlative, Pudsey, Glasgow, Bristol and 6-Spliced. The next Surprise Major practice is scheduled for Friday 25th November. These took place at High Ercall. Twenty one ringers attended and the ringing included call changes, Plain Bob Doubles, Single Oxford Bob Triples, Grandsire Triples, Stedman Triples, 4-Spliced Surprise Major. It was pleasing to see many members of the local band taking part. Tea, coffee and biscuits were kindly provided by Judy and Chris Yates, assisted by members of the High Ercall band. Lois Crooks and Fin Shelley (both from High Ercall) were elected as members of the Association. Ben Kellet and Christopher Parker were ratified as members of the Association, following their election prior to peals at Clive and Wem. The next 6-bell practice will be at Meole Brace on 5th November and then at Atcham on 3rd December. Tickets are now available for the Quiz Night to be held at Shawbury Village Hall on 12th November; tickets cost £8 (£5 for under 12s) and are available from Cordelia Warr, Jacqui Barden and Chris Fraser. The Carol Service is to be held at Hodnet on 10th December. Biff Patterson told the meeting that the 2017 Handbook would list members who had paid their subscription by the time of the AGM, rather than those who were members in 2016. Subscription reminders for 2017 and requests for tower reports for 2016 would be sent out shortly. Peter Woollam advised the meeting that the Committee would be proposing the awarding of Honorary Life Membership to Edric Broom at the AGM. Peter spoke about Edric's long-term commitment to the Association. Geoff Harding sent ahis Bell advisor's report which was read out by the Ringing Master. The clappers at St Martins have been refurbished and the bells are operational again. The Committee has approved a grant of £351, for half the cost of the work. Geoff, Peter Woollam and Tony Freemont have visited Wroxeter and carried out general maintenance tasks on the bells. Another visit is planned to apply wood treatment to the bell wheels. Peter Woollam raised £30 for the BRF from the sale of raffle tickets. Prizes were won by Peter, Jacqui Barden and A N Other. Brian Kear organised the quarterly draw for the 100+ Club. The winners are: Barry Hockley (Shifnal) (£50), Malcolm Monie (Whitchurch) - (£25), Naomi Jones (Lilleshall) - (£15), Derek Dancey (Bicton) - (£15), Jo Smythe (Tibberton) - (£12) and Mary Ann Oakley (Ruyton XI Towns) - (£10). Thanks to Chris Yates and the High Ercall ringers for their hospitality. The next Association monthly practice will be on Saturday 10th December at Hodnet, prior to the Carol Service. The next Quarterly Meeting will be held at Shifnal prior to the AGM on Saturday 14th January 2017. Congratulations to Rob Herbert of Edgmond who has rung his first quarter peal at the first attempt. The third Association training morning of the year took place at the Edgmond Ringing Centre. The students were Rob Herbert, Annette Bailey (both from Edgmond), Alice Turner (Hodnet), Vicki Sivess (Meole Brace), Gez Scrivens and Martin Dingle (both from Codsall). They honed their skills on call changes, plain hunt, Plain Bob Doubles, and Plain Bob Minor. Tony Freemont, the Association's Training Officer was helped during the morning by Mark Adams, Jacqui Barden, Chris Fraser, Madeline Harris, Brian Kear, Peter Neil, Biff Patterson, and Cordelia Warr. The usual refreshments were available. Thanks to Mark for preparing the bells and the simulator. The second annual striking competition between the three associations within the Lichfield Diocese was held at Stoke Minster on Saturday 24th September 2016. The three associations each entered a 6-bell band and an 8-bell band. The 6-bell bands all chose to ring Grandsire Doubles, and the set piece for the 8-bell bands was a plain course of Cambridge Surprise Major. The faults for each association's bands were added together and the winning association was the one with the fewest combined faults. and the Lichfield & Walsall bands were duly declared the winners. Representatives of the two bands were presented with the trophy, donated by Shropshire's Andrew Gordon. The competition this year was held in the deep south of the Association, at Beckbury on a cool, windy, damp day. The bells there are a tricky light six with a tenor weight of 4½ cwt. More than one ringer was apprehensive about ringing there. Eleven bands participated, and several bands included ringers who had not taken part in a Striking Competition before. Much preparation had been carried out to prepare the village for the descent of so many ringers - parking was not allowed outside the church and all cars were directed to park in the school grounds, a short walk from the Village Hall and church. The draw for the order of ringing was held in the Village Hall and tea was served there throughout the afternoon. Bands are pictured below in the order in which they rang. With the judges, Jean and Jim Nixon from Penkridge, seated in a local ringer's garage (with the door open), the competition began. The home team was drawn to ring first, and Shrewsbury 'A' was drawn last, again. Seven bands rang call changes and four bands rang a method, Grandsire Doubles by three bands and Cambridge Surprise Minor by the fourth. The judges arrived at the Village Hall before the last team, so keen were they to get out of the wind and warm up. Proceedings were delayed slightly while the webmaster coralled a couple of bands for their photographs to be taken, then Andrew Gordon introduced the judges, who he has known since he was just a lad. Jean gave comments on all the performances including: 'the band weren't all ringing at the same speed'; 'an inexperienced band'; 'some nice ringing here'; 'the slowest ringing of the afternoon'; 'very good ringing'. There was little doubt which team had won. The Ernest Willcox Cup for the fewest faults was collected by Gill Glover for the Shrewsbury 'A' team. The Call Change Trophy was collected by Jan Snowball for the Oswestry team. The Charles Allmand Memorial Shield was presented to Darren Pickett for the Baschurch team. A vote of thanks was offered to the ringers and helpers for the use of their bells and for providing a sumptuous tea. If the Ringing Master had been less disorganised she would have remembered to present the judges with a gift of alcohol, chocolates and flowers. Instead of which Andrew Gordon kindly delivered these to the judges the next day. 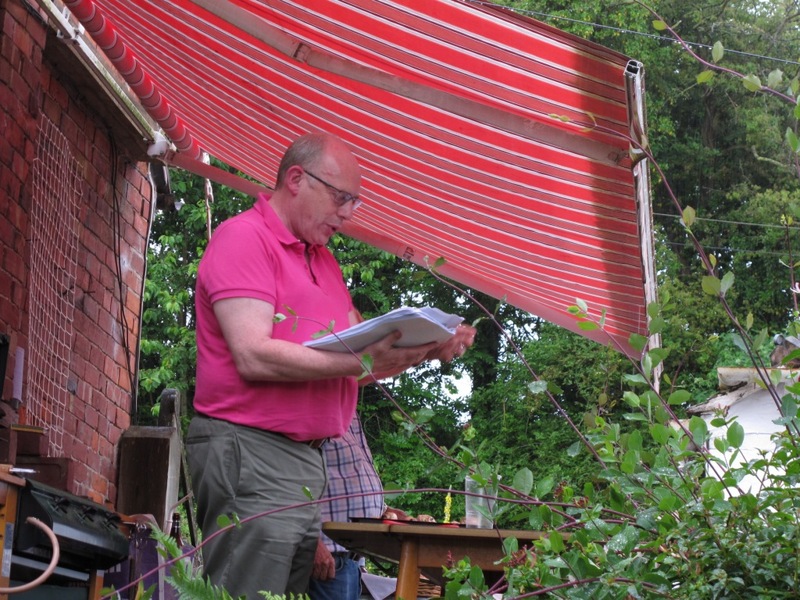 In a surprise move, Peter Woollam ran a raffle, raising £102 for the Bell Restoration Fund. Those taking home prizes were: Marion Davies, Tony Freemont, Steve Evans, Chris Ollivier, Darren Pickett, David Beckwith, Chris Cawood, John Williamson and Jan Snowball. Thanks go to all those who generously provided prizes and all those who bought tickets. The eleventh Association peal of the year was rung at Rushall. The tenth Association peal of the year was rung at Morville. This was held jointly with the Church Stretton District of the Hereford Diocesan Guild and was held at Wellington. Fifteen ringers, including one from the local band, participated. The ringing included Grandsire Doubles, Stedman Doubles, Grandsire Triples, Single Oxford Bob Triples, Stedman Triples, Yorkshire Surprise Major, and 8-Spliced Surprise Major. Thanks go to Colin Jones for his hospitality. Colin and Karen Compton both had notable firsts during the practice. This was held at St Martins with 14 ringers attending. Tony Freemont directed the ringing which included call changes, plain hunt on 5, Plain Bob Doubles, Grandsire Doubles, Stedman Doubles, Plain Bob Minor, Cambridge Surprise Minor and Ipswich Surprise Minor. Thanks to David and Mark from St Martins for hosting this practice and providing tea and biscuits. There was a good turn-out for the Surprise Major practice held at High Ercall. Fifteen ringers rang Yorkshire (half a course), Pudsey, London (twice), three leads of Bristol, 6-spliced, Belfast, and spliced London and Yorkshire. The next Surprise Major practice will be held on Friday 30th September, at a location yet to be organised. Two peals were rung on Saturday 23rd July to celebrate the 90th Anniversary of the founding to the Shropshire Association on 24th July 1926. Congratulations to Cordelia Warr for conducting her first peal. The peal at Stanton was the first peal for the Association by an all ladies band. The peal at Shrewsbury was the first peal on ten bells for Biff Patterson, and the first peal of Caters for Chloë A Darby. The sixth peal of the year has been rung at Wem. The last time that a peal of Grandsire Triples was rung at Wem for the Association was on 14th March 1970, when the Tenor weighed 12½cwt and the peal took 3 hours and 12 minutes. These took place at Newport. Thirteen members attended and the ringing included call changes, Plain Bob Doubles, St Simon's Bob Doubles, plain hunt on seven, Cambridge Surprise Major. Emma Bentley (Atcham) was elected as a member of the Association. Madeline Harris reported that the next 6-bell practice will be held on 6th August at St Martins (not Meole Brace as previously advertised) and that Tony Freemont (Training Officer) was hoping that the practice on 8th October would be at Meole Brace. Madeline thanked all those who had supported the Treasure Hunt and BBQ, and mentioned the Quiz Night to be held at Shawbury Village Hall on Saturday 12th November. Madeline also reported that there were 48 notable firsts listed on the website, just about on target for 90 for the year. It was hoped that there would be some special ringing celebrating the 90th anniversary of the founding of the association over the weekend of 22 - 24 July. The Association Striking Competition will be held at Beckbury on Saturday 10th September; Heritage Open Days were also mentioned. Peter Woollam (Librarian) reminded those present to consider making nominations for Honorary Life Membership of the Association - these would be considered at the next Committee meeting. Geoff Harding (Bell Adviser) reported that a grant had been awarded to St Martins for work on the clappers of their bells. Peter Woollam reported on a conference he had attended in his capacity as Diocesan Bells Adviser, on the installation of radio masts in church towers. More details will be available on the website shortly. Peter Woollam raised £20 for the BRF from the sale of raffle tickets. Prizes of wine, chocolate, and fresh fruit were won by Mark Adams, Geoff Harding, Nick Green, Brian Kear, and Paul Lewis. Peter thanked those who had donated prizes. Brian Kear ran the draw for the 100+ Club. The winners of the second draw of the year are: Peter Gibbins (£50), Angela Gibson (£25), David Coleman (£15), Simon Fraser (£15), Gill Glover (£12) and Rodney Upton (£10). Thanks go to John Williamson for organising the use of the bells and providing tea, coffee and biscuits. The next Monthly Practice will be a joint practice with the Church Stretton District of the Hereford Guild, and will be held at Wellington on Saturday 13th August, from 7pm to 9pm. The next Quarterly Meeting will be held at High Ercall on Saturday 8th October. 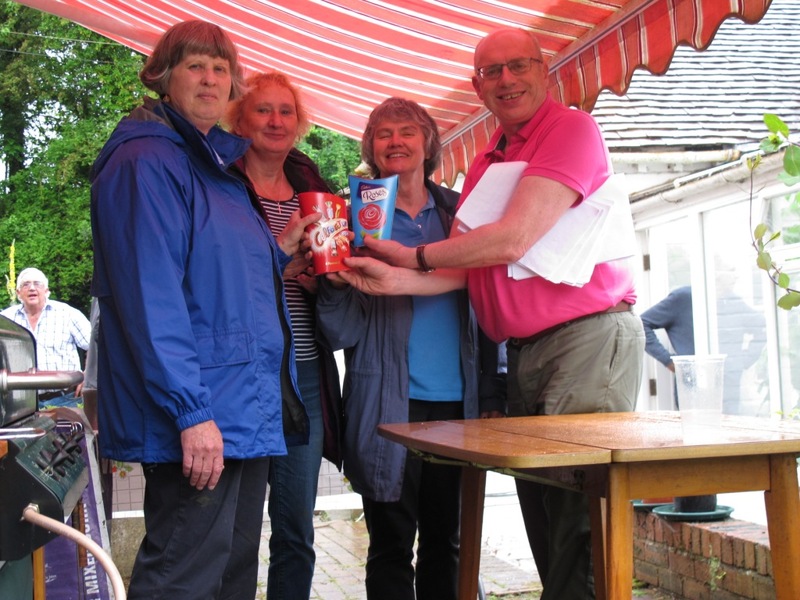 The prospect of a wet afternoon did not deter six teams from arriving in the car park at Shawbury Village Hall to receive instructions for the Treasure Hunt part of the Association's summer social event. Tony Freemont and Cordelia Warr dispensed the instructions and set the teams on their way. All the teams stayed in the car park for a few minutes sorting out the clues to the places they had to visit and planning the best, most points-effective route from Shawbury to High Ercall. Meanwhile, back at The Mill House, Chris and Judy Yates's home in High Ercall, work was in hand to prepare for the barbecue; the bar arrived with Jad Bienek and Geoff Harding, awnings were erected, and salads were set out on tables. Tony and Cordelia sat in the conservatory and marked the teams' answers while members and their families slaked their thirsts at the bar. Andrew Gordon and Chris Yates were in charge of cooking burgers, chicken and sausages. In Peter Woollam's absence, two young people (whose names your correspondent failed to get) sold raffle tickets, raising £57 for the Bell Restoration Fund. The winners of the prizes of wine, chocolates, and preserves were Hamish Byne, John Neal, Claire Unsworth, Alex Ganley, Mark Adams, and Nicola Adams. Tony went through the quizzes giving the correct answers and then the teams' scores. The runners-up were 3-Spliced who scored only one point fewer than the winners, Safer Brenda, Dam, who received two boxes of sweets as their prize. Madeline Harris thanked Chris and Judy for hosting the barbecue and Tony and Cordelia presented them with suitable gifts; Tony and Cordelia for devising the Treasure Hunt and planning the meal; Nick Green for supplying the tickets; all those who had provided a salad or pudding; and everyone who had helped to make the event so enjoyable, despite the rain. A profit of £205.14 was made from ticket sales, while the bar made a loss of £15.80 (after taking into account the payment for the Temporary Event Notice), but various unsold, in date, items will be carried forward to the Quiz Night. Thanks go to Cordelia and Tony for organising a very enjoyable afternoon. The next Association social event will be the Quiz Night at Shawbury Village Hall on Saturday 11th November. The next Association practice will be held at Newport on Saturday 9th July from 7pm to 9pm, and will incorporate the Quarterly Meeting. The fifth peal of the year was rung at Edgmond to celebrate the 90th birthday of Her Majesty the Queen. Congratulations to Sue Bower who rang her first quarter peal at her first attempt at Ightfield. This was also the first quarter peal as conductor for Paul Dutton. Congratulations to them both. Congratulations to Matthew Wren who rang his first quarter peal at his first attempt at Codsall. This was held at Stanton with 15 ringers attending. The Association's Training Officer, Tony Freemont, was in charge. directed the ringing which included call changes, Plain Bob Doubles, Stedman Doubles and Plain Bob Minor. There was also handling practice for a new ringer. Among the towers represented were Atcham, Market Drayton, Meole Brace, Oswestry, Stanton, Sahwbury and Wem. Thanks to the Stanton/Shawbury band for hosting this practice and providing refreshments. That the scope of the review shall include but not be limited to: the Council's legal objects and its name, the Council's structure and governance, the Council's size and membership. There is an opportunity here for anyone who is so inclined. If you would be interested in finding out more, and possibly putting your name forward, then contact Alan or Peter. Alternatively, you can go directly to the Council by email at review@cccbr.org.uk by 30th June with a brief statement of why you are interested and what experience (ringing and outside of ringing) you might bring to this project. A select band of ringers turned up at Hinstock for the monthly Association practice. Twelve ringers, including three from the local band, turned their hands to call changes, Grandsire Doubles, May Day Doubles, Reverse Canterbury Pleasure Place Doubles, Original Minor, Cambridge Surprise Minor, and St Clement's College Bob Minor. A refreshment break was taken so that those present could enjoy a cup of tea or coffee and some delicious cakes and scones provided by the local band. With practised ease, Peter Woollam ran a raffle, raising £28 for the Bell Restoration Fund. The winners of the confectionery and alcohol were Richard Major, Edric Broom and Geoff Harding. Thanks go to Keith Swinnerton, Pat Swinnerton and Catherine Huyshe for their welcome and hospitality. The Association's Treasure Hunt and Barbecue will be held on Saturday 11th June. Tickets cost £8 and are available from Cordelia Warr and Madeline Harris. The second Association training morning of the year took place at the Edgmond Ringing Centre. Emma Bentley, Glenville Davies, Jo Penning, Vicki Sivess and Jan Snowball came along looking for help with one or more of: handling, call changes, plain hunting, Plain Bob Doubles, Plain Bob Triples. Tony Freemont, the Association's Training Officer was helped during the morning by Mark Adams, Edric Broom, Susan Capey, Chris Fraser, Alan Glover, Nick Green, Madeline Harris, Brian Kear, Peter Neil, and Simon Rice. The usual refreshments were available. Thanks to Edric for the use of the bells and the simulator. 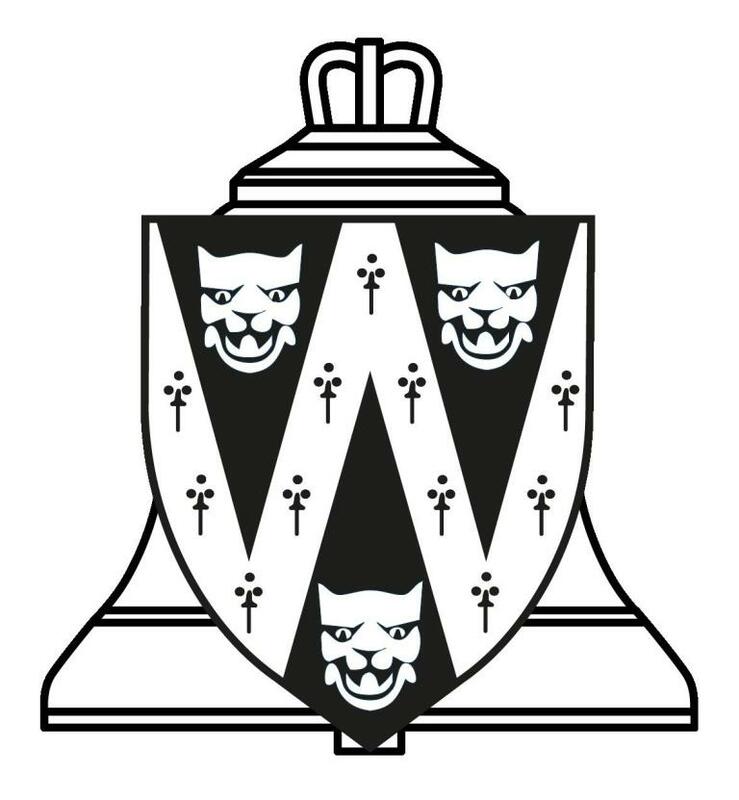 Further learning opportunities are available at the next Third Wednesday morning practice at Edgmond (18th May, from 10am to 12:30pm) and at the next 6-bell practice (4th June at Stanton, from 10am to 12noon). The fifth Association peal of the year was rung at Ryton and was rung to mark the Queen's 90th birthday. Congratulations to Brânn Himlin who rang his first quarter peal at his first attempt at Market Drayton. Brânn started learning to ring about 18 months ago when he was 12 years old. Afterwards Brann said that his hands were fine but his feet hurt! Three Association peals were rung on St George's Day to celebrate the 90th birthday of Her Majesty the Queen. They were rung at Lilleshall, Edgmond, and Clive. These took place at Baschurch. Twenty two ringers attended and the ringing included call changes, Plain Bob Doubles, Stedman Doubles, St Simon's Bob Doubles, Plain Bob Minor, Oxford Treble Bob Minor, St Clement's College Bob Minor, Kent Treble Bob Minor, Norwich Surprise Minor and Dixon's Bob Minor. It was pleasing to see so many members of the local band taking part. Jan Baldwin, Gaynor Evans, Dylan Jones, Ena Plant (all from Broseley) were elected as members of the Association. Clare Coleman and Mark R Eccleston were ratified as members of the Association, following their election prior to a peal at Chetwynd in February. Peter Woollam (Librarian) reported that he had had no takers for the copies of the pre-2000 The Ringing World held by the Association, and would now be recycling them. Peter also explained how the new SACBR logo had come about. Tony Freemont (Training Officer) reported that there had been a Training Morning at Edgmond in February. Tony reported that the 6-bell practices were well attended and that the next one will be at Stanton on 4th June. The August 6-bell practice will be at Meole Brace. All are welcome at these practices. Tony remarked that he is hoping to get together all the young ringers in the Association. Cordelia Warr (Social Secretary) spoke about the Treasure Hunt and Barbecue to be held on Saturday 11th June. A poster advertising this event has been circulated to all towers. Tickets cost £8 (£5 for under 12s) and will be available shortly from Cordelia Warr and Madeline Harris. Cordelia also mentioned the Quiz to be held on 12th November at Shawbury Village Hall. Once again, ticket prices will be £8 (£5 for under 12s). Chris Fraser (Safeguarding Officer) spoke about the new Safeguarding guidelines for young ringers. Chris pointed out that individual churches are responsible for carrying out Disclosure and Barring Service (DBS) checks on those in charge of ringing at towers where there are ringers under 18 years of age. The incumbent and the PCC also have a duty to check whether there are young people ringing. It is recommended that a register is kept and signed by every member whenever young ringers are present. A copy of the Guidelines written by Chris Mew, president of the Central Council, has been circulated to every tower. Madeline Harris (Ringing Master) spoke about the 90th Anniversary of the Association, which was founded on 24th July 1926. It is hoped that members of the Association will accomplish 90 notable or significant firsts in 2016. A list of these accomplishments is here on the website . Please let the webmaster know of other firsts to be added to the list. It is also suggested that there is celebratory ringing over the weekend of 22nd - 24th July. Geoff Harding (Bell Advisor) reported that the inspection of the bells at Wroxeter had been completed, and that he and Peter Woollam would be inspecting the installation at Child's Ercall, at the invitation of the local band. Mention was made of the BBC Radio 3 Music Day (see below); the call from the Central Council PR Committee for photos of ringing; and Honorary Life Membership nominations. Peter Woollam raised £50 for the BRF from the sale of raffle tickets. Prizes of wine, chocolate, cake, and a pin board were won by Nick Green, Paul Smart, Brian Kear, Madeline Harris and Peter Woollam. Peter thanked those who had donated prizes. Brian Kear was pleased to announce that there were 113 members of the 100+ Club, at the time of the meeting, which means that he can offer six prizes every month. The winners of the first draw of the year are: Sue Perry (£50), Sue Dancey (£25), Peter Woollam (£15), Eric Pridding (£15), Brian Kear (£12) and Chris Evans (£10). Thanks go to Edwina and Paul Smart for organising the use of the bells, and for providing welcome refreshments. The next Monthly Practice will be held at Hinstock on 14th May, from 7pm to 9pm. The next Quarterly Meeting will be held at Newport on Saturday 9th July. This was held at Atcham with 19 ringers attending. The Association's Training Officer, Tony Freemont, was in charge. Ringing include call changes, Plain Bob Doubles, Grandsire Doubles, Plain Bob Minor, Stedman Doubles, and Ipswich Surprise Minor. Among the towers represented were Atcham, Coalbrookdale, Market Drayton, Meole Brace, Oswestry, Shifnal, Shrewsbury, Wellington and Wem. Thanks to the Atcham band for hosting this practice and providing tea and coffee and biscuits. The next 6-bell practice will be held on Saturday 4th June, at a venue still to be arranged. Check the website closer to the time. There was a good turn-out for the Surprise Major practice held at Market Drayton. Thirteen ringers rang Cambridge (several times), Pudsey, London, 3 leads of Bristol, and 6-spliced, mostly successfully. It is with great sadness that the death of Richard Blagrove is reported. Richard, who was a member of the Shrewsbury band, died suddenly on Monday 7th March 2016. Richard's funeral was held on Saturday 26th March 2016, and he was laid to rest in the churchyard at All Saints, Worthen. This was held at Wem and nineteen ringers attended. Ringing included call changes, Erin Triples, Cambridge Surprise Major, Stedman Doubles, Grandsire Triples, St Clement's College Bob Triples and Norwich Surprise Minor. Peter Woollam sold raffle tickets, raising £26 for the Bell Restoration Fund. The winners took home wine, chocolate and crockery. Biff Patterson did her best to offload the new Report and was greatly helped in this endeavour by Andrew Gordon. The first Association Training Morning of 2016 took place at Edgmond Ringing Centre. Four students attended and made progress in Plain Bob Doubles, Plain Bob Minor, Grandsire Triples, and raising and lowering in peal. The students were Geoff Harding (Baschurch), Dave Read (Meole Brace), Vicki Sivess (Meole Brace) and Jan Snowball (Oswestry). The Association's Training Officer, Tony Freemont, was in charge and was assisted by Mark Adams, Jacqui Barden, Jad Bienek, Edric Broom, Susan Capey, Gill Glover, Madeline Harris, Brian Kear, Paul Lewis, Biff Patterson, Cordelia Warr. The usual refreshments were available during the morning. Thanks go to Edric Broom for getting the bells and the simulator ready. A quarter peal of 90th Birthday Surprise Major has been rung at Eccleshall by an Association band, to mark the 90th Anniversary of the founding of the Shropshire Association. The first Association peal of the year has been rung at Chetwynd. This was held at Clive and was attended by sixteen ringers, including two visitors. The Ringing Master, Madeline Harris, directed proceedings. The ringing included rounds, Plain Bob Doubles, Grandsire Doubles, Stedman Doubles, Plain Bob Minor, Cambridge Surprise Minor, Ipswich Surprise Minor, Norfolk Surprise Minor and Dixon's Bob Minor. Peter Woollam sold raffle tickets, raising £23 for the Bell Restoration Fund. The prize winners were Peter Woollam, Gail Lawrence and Geoff Harding. They took home confectionery and wine. Thanks to Gareth Jones for his hospitality; it was pleasing to see some of the local band at the practice. This was held at Shifnal under the leadership of Tony Freemont, the Association's Training Officer. Thirty (yes, thirty!) ringers attended and turned their hands to handling practice, rounds, call changes, plain hunt on 5, Plain Bob Doubles, Grandsire Doubles, Stedman Doubles and Cambridge Surprise Minor and, as a special treat, Stedman Triples. The ringers represented Atcham, Coalbrookdale, Edgmond, High Ercall, Market Drayton, Meole Brace, Oswestry, Shifnal, Shrewsbury, Tibberton, and Wellington. Thanks to the Shifnal band for hosting this practice. There was a very good turn-out for the Surprise Major practice held at Hodnet. Sixteen ringers tested their knowledge of Cambridge, Pudsey, London, Wembley, 3 leads of Bristol, and 3 leads of Belfast. Congratulations to Vicki Sivess of Meole Brace who has rung her first quarter peal. Vicki started to learn to ring at Meole Brace when Mike Carding started the new band there. David Read, also from Meole Brace, rang his first quarter peal away from cover two weeks earlier, again at Meole Brace. This was held at St Peter's church, Edgmond. Prior to the Service of Thanksgiving there was the opportunity for many members to ring call changes, Plain Bob Doubles, Stedman Doubles, Grandsire Triples and 3 leads of Bristol Surprise Major. The Service was led by Rev. Edward Ward. The address was given by the Bishop of Shrewsbury, the Right Rev. Mark Rylands; and the organist, Colin Brown, kept the hymns going at a good pace. In his address the Bishop quoted from several literary works which referred to bells. The ringers were joined at Edgmond Village Hall by more Association members. The Edgmond ringers' catering team provided a delicious meal of chilli con carne, beef in ale, and vegetable casserole plus baked potatoes, followed by apple pie, apple crumble and frangipane, tea and coffee. Bishop Mark got the meeting under way by thanking the ringers for their ministry in north Shropshire, and the Edgmond ringers and their families for the delicious meal. At the Quarterly Meeting which preceded the AGM, the following were elected as members of the Association: Ann Peppiatt (Meole Brace); John Clark (Chirk); Diane Bodley, Beverley Jones (Shifnal); Brânn Himlin, Roger Himlin (Market Drayton); Anna Rothera, Chris Cawood (Oswestry); Colin Cockerham (Stanton-upon-Hine Heath); Jane Thompson, Matthew Wren (Codsall); Lizzie Doble, Rev Keith Hodson (Beckbury); Alice Stanley (Shrewsbury ); Peter Stockbridge, John Bates (Whitchurch); Chris Ollivier, Tom Ollivier (Newport); David Doig, Derek Norfolk, Fiona Norfolk, Imogen Wolz, Neil Henderson (Child's Ercall). Maurice Ingram's election as a member prior to a peal was ratified, and Janet Menhinick was ratified as a Non-Resident Life Member following election prior to a peal. After the usual business of apologies, minutes of the last AGM, and matter arising from the Minutes, Madeline Harris gave her Ringing Master's report. Madeline touched briefly on the highlights of the year, including: fewer peals and quarter peals had been rung for the Association than in 2014; the peals had included the Andrew Gordon's 100th for the Association and 250th as conductor, Chris Wulkau's 1000th peal and Abigail Hind's 100th peal, and the first peals for four members (Sharon Collins, Biff Patterson, Nicola Adams, and Stephen Evans); Jo Schup was the Association's only first quarter-pealer. Madeline also mentioned the Association Striking Competition, the inaugural Lichfield Diocesan Striking Competition (won by Shropshire Association bands), the Surprise Major practices, the monthly Wednesday morning quarter peal attempts, trainings at Edgmond, and that the Surprise Minor practices had become 6-bell practices. The outing in June and the ceilidh in November had been well-attended. Madeline thanked the Committee for their hard work; Brian Kear for running the 100+ Club; and all those members who had supported the Association by buying raffle tickets or joining the 100+ Club. She also thanked all tower bands that had hosted meetings and events. Susan Capey (Treasurer) presented the accounts of the Association and they were approved by the meeting. The Independent Examiners, Brian Kear and Karen Compton, had inspected and approved the accounts and Brian reported that he and Karen were happy with how the accounts had been presented. Peter Woollam (Bell Adviser) reported that he had carried out only one inspection in 2015, at Wroxeter to benchmark the current state of the installation. A BRF grant had been made to Montford for work on the 4th and 5th bells there. Peter remarked that the Faculty process was being moved online to the ChurchCare website in order to simplify the process. Peter also gave the Librarian's report in which he said that, following the purchase of DVDs containing digital copies of all of The Ringing World from 1911 to 2000, any of the library's hard copies of The Ringing World left after the April 2016 quarterly meeting would be sent for recycling. Biff Patterson (Report Editor) reported that production of the 2015 Report was underway. Tony Freemont (Training Officer) reported on the success of the Training mornings held during the year. Tony thanked, especially, Edric Broom and Mark Adams for their help at Edgmond, and all those who came along and helped with the training sessions. Madeline Harris (PRO) reported that four quarterly Newsletters had been produced and sent to towers and also that there appeared to have been no negative reporting of ringing in the local press. Chris Fraser (Children and Vulnerable Adults Protection Officer) said that she had nothing to report. Biff Patterson (LDMB Trustee) reported on the activities of the Mobile Belfry, and mentioned that there had been two Shropshire visits by the Mobile Belfry - for her son's wedding and for the Calverhall Family Day. Biff also said that the Mobile Belfry's financial position had improved, and that it was expected that it would be used at a BBC 'Countryfile' event to be held later in the year. Elections for the Committee for 2016 were held. Jad Bienek was elected as General Secretary; Geoff Harding was elected as Bell Adviser following Peter Woollam's elevation to the position of Diocesan Bell Adviser; Jan Snowball was elected as an ordinary committee member. All the other Committee positions remained as they had been at the end of 2015. Brian Kear and Andrew Gordon were elected as Honorary Life Members of the Association and Peter Woollam read out the citations for each nomination, and Bishop Mark pesented Brian and Andrew with certificates. Certificates for 40 years of continuous membership of the Association were presented to Alan Glover, Gill Glover and Mark Adams. Madeline thanked the vicar for taking the Service, and Bishop Mark for chairing the meeting, and the Edgmond ringers and their families for their hospitality and for providing a delicious tea. The meeting was closed with a prayer by Bishop Mark. Peter Woollam sold raffle tickets raising £135 for the Bell Restoration Fund. The glittering array of prizes was won by Tony Freemont, Dave Read, Bishop Mark, Simon Rice, Chris Harris, Ann Peppiatt, Biff Patterson, Liz Menhinick, Anne Monie and Gail Lawrence. The final draw of the year in the 100+ Club was made by Brian Kear who reported that there were 114 members and that more than £700 had been raised for the BRF. Brian said that forms for 2016 would be going out to towers in February. The winners were: £50 - Pat Waldron (Tibberton), £25 and £15 - John Williamson (Newport) £15 - Biff Patterson (Shrewsbury), £12 - Peter Gibbins (Beckbury), £10 - Mark Adams (Edgmond). The next AGM will be held at Shifnal on Saturday 14th January 2017. The next Quarterly meeting will be held at Baschurch on Saturday 9th April starting at 7pm.